The article looks at 4 apparels which have not lost their value over time. It dwells and tries to uncover the real reasons why they are considered Timeless in the world of fashion. Defined as a piece of clothing and fashion style in which the garment is made to resemble the pattern of the skin and fur of animals like Leopard, Cheetah, Zebra, Tiger etc. 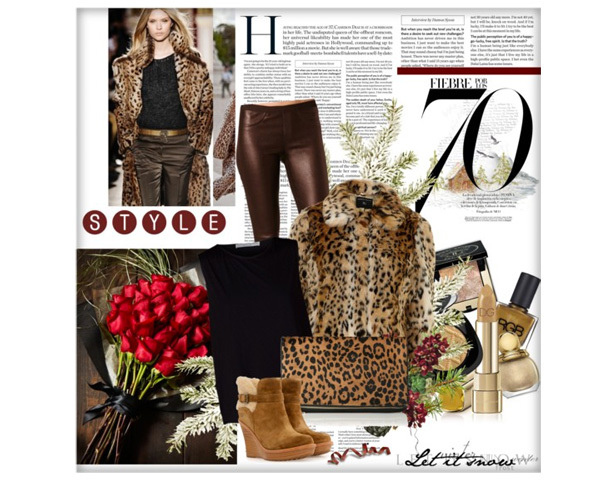 Animal prints have and will always remain a timeless classic amongst fashion followers. They have been with us since time immemorial. Earlier animal prints were borne out of the skin and fur of select animals, they were used by men and women as it offered protection from the elements. However, in time it evolved from its basic functional element to being a sought after fashion apparel. Wearing of animal prints is considered a status symbol among the elite of society due to it’s rare and very unique in fur fabric. If you are woman who is confident and bold then these timeless animal goodies should be part of your wardrobe. They are not as primitive as animal prints but were also originally meant for protective clothing. Leather jackets were initially crafted for protection against the harsh weather elements but thanks to Hollywood stars like Marlon Brando and others soon found its way as being a symbol of Machismo. Since the element of Machismo is inherently male it immediately found attention among bikers and other alike. Floral printed designs are loved by women the world over, wearing them kindles a soothing, loving and caring spirit. This is probably the reason why women of all ages resort to wearing this mature design when attending family and other traditional get together. If you are looking to wear something on Thanksgiving or Christmas that will be accepted by all look no further than floral prints. Military shaded outfits have more or less been in accord with the ongoing trend of the armed forces. Those who have a passion for them have sported them through the years ‘Timelessly’. Hope you have enjoyed reading the 4 timeless fashion trends, we are sure they will continue remaining popular among the common folk in future as well. If you know of any apparels which you feel also be included in this list, do let us know we would love to hear their story.